And the winner is…Ryan Freedman from Layher Scaffolding Inc. 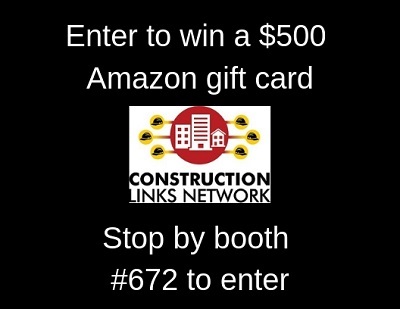 This past week Construction Links Network exhibited at the Canadian Concrete Expo in Toronto. The show was very well attended and I personally had the pleasure to meet many new people in this industry. Thank you to everyone that stopped by and we look forward to seeing you next year at the Canadian Concrete Expo.